As I’ve gathered more and more pieces in my pursuit to rebuilt my original G.I. 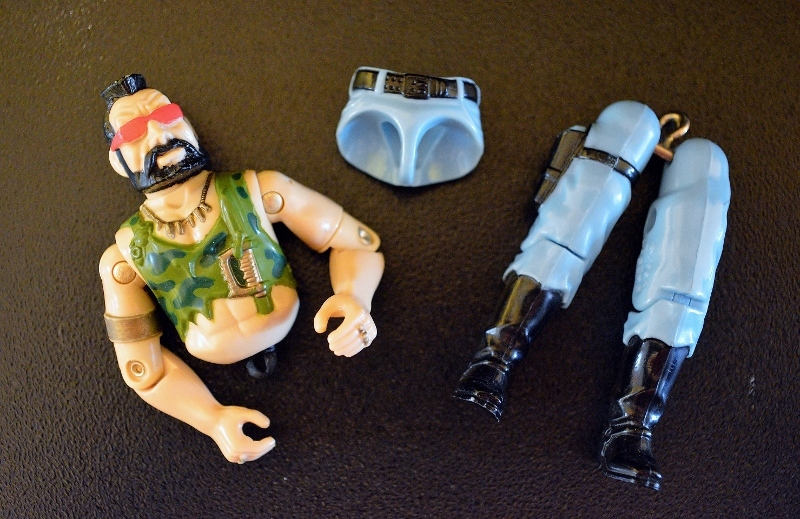 Joes, I’ve collected other figures. And I’ve started putting them together too (as evidenced with my Snow Job post). 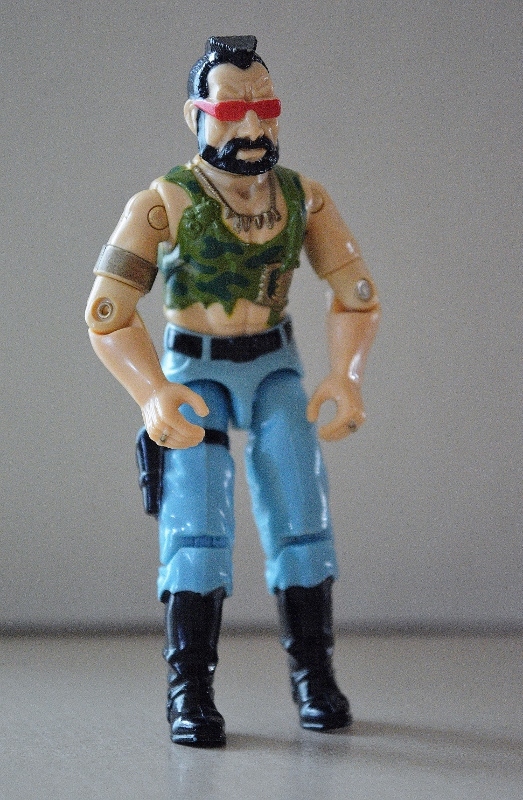 This continued with one of the dreaded Dreadnoks. Ripper was a figure that, if I recall, I never actually had as a kid. I only ever had a few, but I’m fairly certain he was never one of them. The one I collected was already broken, his rotten black rubber band sticking out of his torso like dangling intestine. His paint was in pretty darn good shape, honestly. 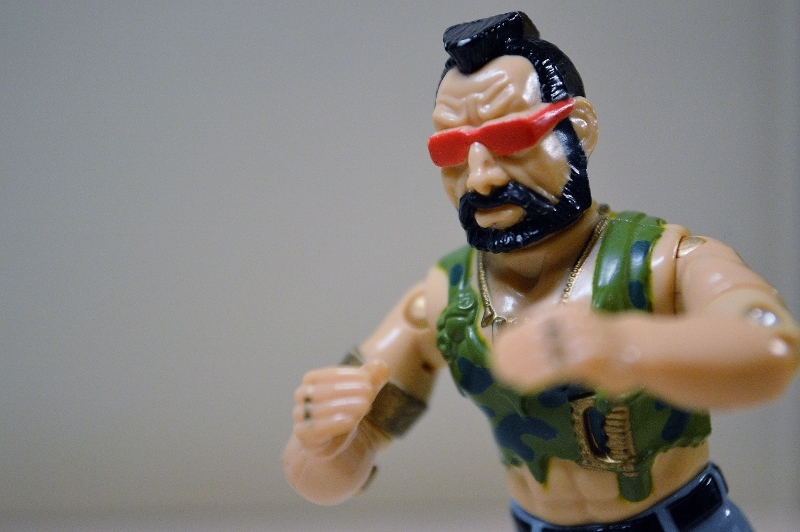 After I pieced him together I realized… the dude has no neck. Will be keeping an eye out for any of his accessories. That is a NICE figure. Watch that gold paint, it rubs off so easily.